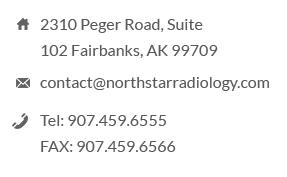 Mr. Tournie joined Skagit Radiology in 2013 and has 23 years of Radiology administration experience. He previously worked at Tower Imaging Inc., Cedar-Sinai Medical Center, Los Angeles, CA. Radnet Inc., USA and Western Radiology Inc., Culver City and Marina Del Rey, CA. Mr. Tournie has a B.S. in Business Administration, Cal Poly, Pomona and a A.A. & A.S in Radiologic Science & Technology, Mount San Antonio College, Walnut. Mark Tournie has worked on several mergers, acquisitions and consolidation projects. He has experience in center operations using best practices along with strong knowledge of the marketplace. Mr. Tournie has developed both short and long term strategic plans. He understands complex group dynamics and governance structures. Mr. Tournie’s goal is to develop a strong management team and create a learning culture. Mark enjoys skiing, surfing and played Division I Water Polo while in college.